NKU Interim Pres. Gerard St. Amand announced that Kentucky’s current pension system is one of the biggest factors holding back the university’s budget. The level at which NKU currently contributes to state pensions has increased without giving employees any added benefits, Amand said at a Board of Regents meeting Wednesday. “This is something we need to push the legislature and the governor to keep moving on pension reform, because this is the biggest, biggest hurdle to anything that we can do to try to fix our budget situation, and for the state as a whole,” Amand said. NKU currently contributes 49.5 percent of every pensioned employee’s salary dollar to Kentucky Employees Retirement System (KERS). That adds up to $18.3 million dollars per year, up from $3.3 million in 2008. Amand said the contribution percentage could jump to 84 percent, or over $31 million per year, by fiscal year 2019. 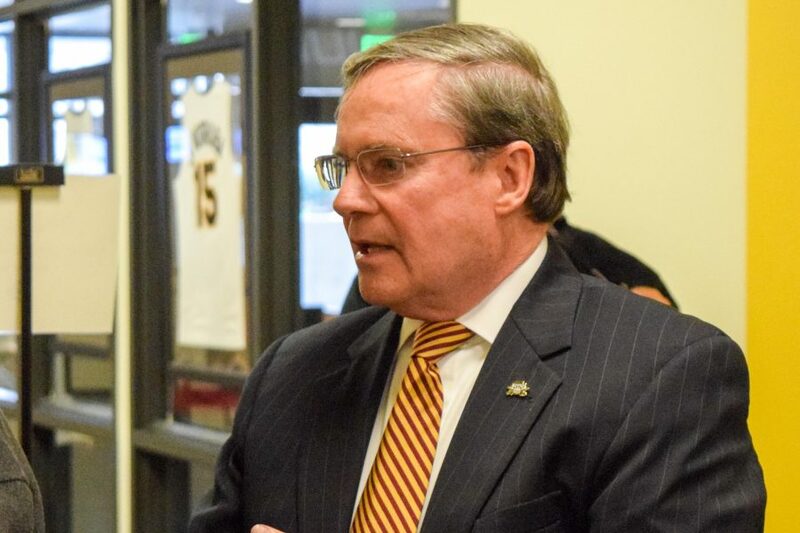 The interim president said the inflating pension contributions plus falling state funds stifles the university’s ability to give employees raises. “That $15 million is twice as large as all of the funding cuts that we’ve taken to our state appropriation over that same period. So this is a significant impacted cut to our budget,” Amand said. Gov. Matt Bevin recently estimated the state’s pension system has an “unpaid liability” of up to $80 billion in retirement benefits. Educator groups fear proposed changes would cut benefits, encouraging some teachers into early retirement. Amand said one condition of the legislation still being drafted is for university employees to enroll in a 403b, a defined contribution plan similar to a 401k. Those employees would be able to choose the amount they pay into their plan, which is matched by the university. The plan can also be transferred from job to job. In addition, the legislation is exploring the option of allowing employees to opt-out of a state retirement plan. “It’s the same kind of system that we currently have and have had for years for our faculty and our senior administrators,” Amand said.